The electronic structure and spectra of schiff base derivatives compounds are investigated using TD-DFT/B3LYB/6-311G (d, p) level of theory. The results of calculations show that all the studied compounds 1–4 are non-planar, as indicated from the dihedral angles. The electronic absorption spectra of the studied compounds are recorded in the UV-VIS region, in both ethanol (as polar solvent) and dioxane (as non-polar solvent) . Solvent dependence of the band maxima (λmax) and intensities of the observed spectra are explained in terms of blue and red shifts. Electronic configurations contributing to each excited state are identified and the relevant MOs are characterized. The theoretical spectra computed at CAM-B3LYP/6-311G (d, p) in gas phase, ethanol and dioxane nicely reproduce the observed spectra. 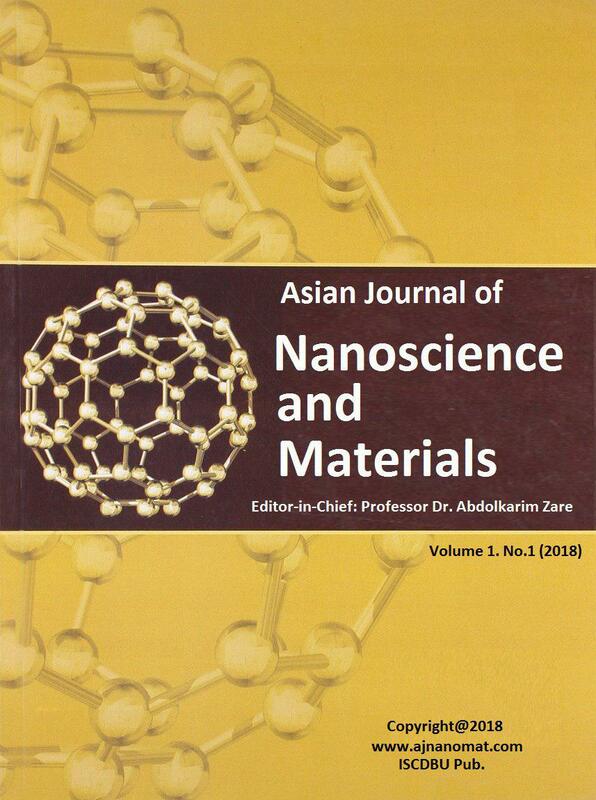 The natural bond orbital (NBO) analysis were discussed in terms of the extent of delocalization, intermolecular charge transfer and second order perturbation interactions between donor and acceptor MOs. The calculated EHOMO and ELUMO energies of the studied compounds can be used to explain the extent of charge transfer in the molecule and to calculate the global properties; the chemical hardness (η), global softness (S), electrophilicity (ω), and electronegativity (χ). The calculated nonlinear optical parameters (NLO); polarizibilty (α), anisotropy of the polarizibility (Δα) and first order hyperpolarizibility (β) of the studied compounds have been calculated at the same level of theory and compared with the proto type Para-Nitro-Aniline (PNA), show promising optical properties. 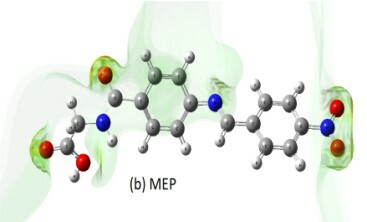 3D-plots of the molecular electrostatic potential (MEP) for some of the studied compounds are investigated and analyzed showing the distribution of electronic density of orbital's describing the electrophilic and nucleophilic sites of the selected molecules. The biological activity of the studied compounds was tested against gram positive, gram negative and Fungi. A correlation between energetic, global properties and biological activity were investigated and discussed.